Note that "R. Velarde" was not recorded on the scoresheet roster, but was apparently the player subbed in the 3rd set with shirt 5. I've added them to the online recording of the result after discussion with Lynne Howitt at WHVC and the scorers. 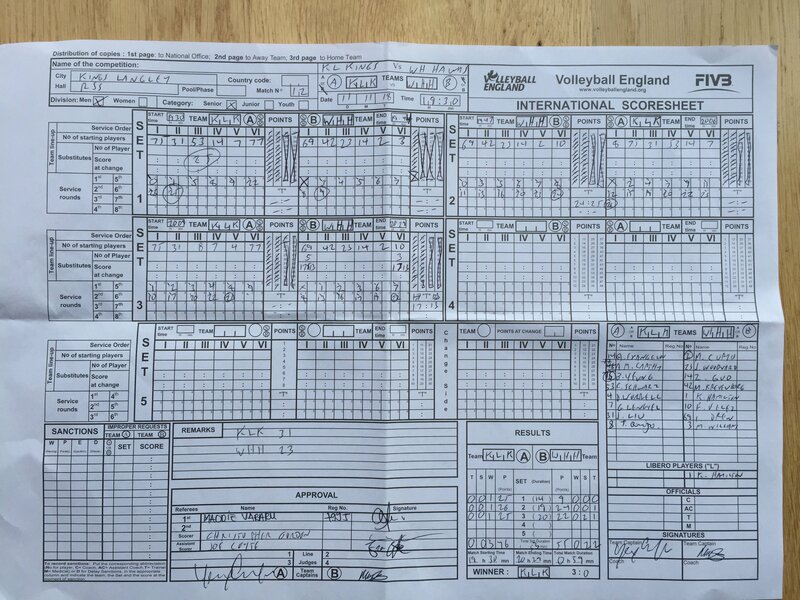 Scorers said that WHVC captain did inform them that another player was due and that they would introduce themselves on arrival, but they never did.